Gives me that nice, natural look without being too heavy. It matches my skin tone well and lasts all day! I love the coverage this cushion gives. It also provides a slight blurring effect. It doesn't dry out & doesn't feel heavy on the skin. 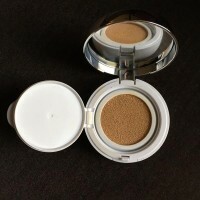 For those who are oily, I would recommend setting with a powder, but for those with dry skin it wouldn't be necessary. The only complaint would be how it settles on dry patches of skin, if you have any. 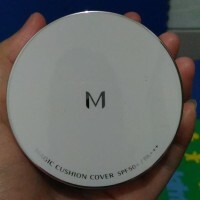 This magic cushion can give you long lasting effect on your skin... and its good for people with dry and oily skin... and yah it have good and naturally color for your skin... this magic cushion hide all your problems in your skin.. then i love the shade it so soft to skin i like it so much and i love it.. 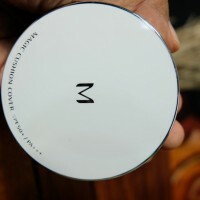 This is a very good everyday cushion foundation. It does have fairly good coverage and gives my face a moisturized look. It feels light on the face and I can easily layer it on my skin for better coverage. 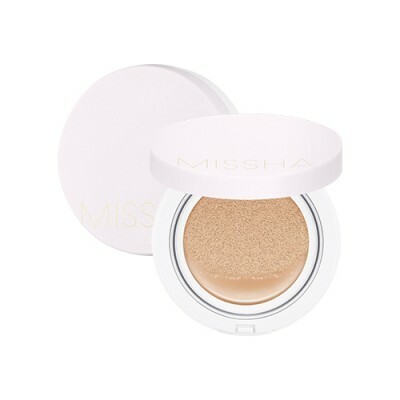 Unlike the Missha BB cream, this product does not look grayish on my skin. Still, Missha products are the first thing I purchase whenever I visit Korea. I tried first using my finger to test how much I’d pick up and I was taken aback because the sponge was packed with foundation. I ended up using my fingers to get and apply the foundation on my face. Looking back, I think that the reason why I did that is because I didn’t want my cushion puff to absorb a percentage of the foundation. I wanted to make sure that I’m not wasting any product. The foundation sets easily. I realized that I had to work in sections to make sure that the product is blended easily. The reason behind that could be one of its ingredients, boron powder, which helps in adhering to skin lightly to achieve an even texture without caking. I only needed a little amount to achieve even coverage.